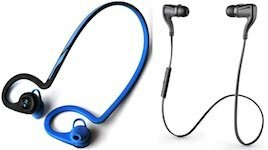 Jaybird X2 Review – Great Bluetooth sports headphones for athletes and active people. 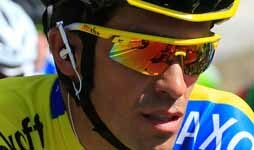 Jaybird X2 Bluetooth Headphones are widely regarded as the highest quality Bluetooth headphones you can get – and are especially great for athletes, due to their superior, secure fit. 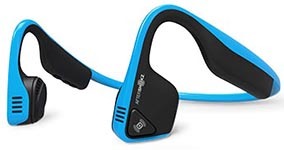 If you are an active person who wants a great music experience while exercising, then these are very likely to be the right headphones for you. New! 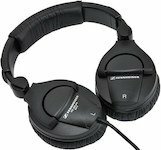 Check out current Best Selling Headphones! First off, here is a table highlighting the most important features of the [easyazon_link identifier=”B013HSW4SM” locale=”US” tag=”avejoecyc0e-20″ cart=”n”]Jaybird X2[/easyazon_link] Bluetooth headphones. Immersive sound? Yes, they are designed to block out ambient sound and immerse you in your own sound. Packaging: the packaging feels very premium, with a nice little hard shell case to keep all the bits in. The new case is an upgrade on the Jaybird X Bluebuds case, with a soft feel and a really premium finish. Size: The manufacturers claim they are the world’s smallest headphones. They are very tiny, yet they deliver amazing sound. They weigh just 0.49 oz (13.8 grams). Bluetooth pairing: Easy, effortless, effective – just a sheer pleasure. The Jaybird X2 headphones almost never drop the signal. 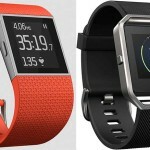 Battery time: They charge in 2 hours and last for 8 hours – all through my day! What’s not to like? 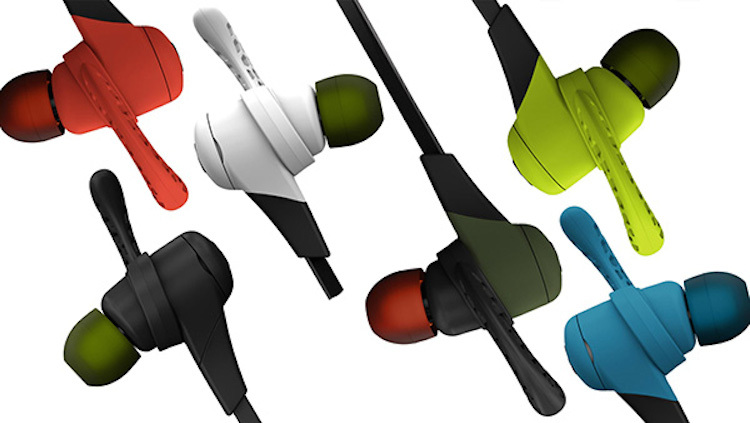 Colors: I love that the new Jaybird X2 come in black, white, grey, green, red, blue – a big step up from the black or white of the Jaybird X Bluebuds. Especially as blue is my favorite color! Battery reminders: You can check your battery status on your smart phone; plus there is a mellow voice that gives you updates about battery life. 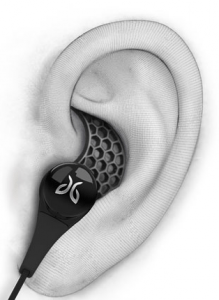 Fit: Jaybird has a patented secure fit. I find that they stay in my ears very well. 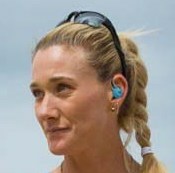 In fact, they are one of the highest rated headphones in the world for secure fit. 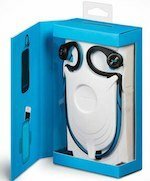 The upgraded [easyazon_link identifier=”B013HSW4SM” locale=”US” tag=”avejoecyc0e-20″ cart=”n”]Jaybird X2[/easyazon_link] feature two kinds of earbuds in the box – silicone tips and Comply memory foam tips. The upgraded Jaybird X2 feature two kinds of earbuds in the box – silicone tips and Comply memory foam tips – see the grey box on the right with six sets of earbuds. There’s a whole lot of stuff in the box! The Comply tips are made with memory foam to mold to your ears, and are getting some very high ratings for fit and comfort. Both the silicone tips and the Comply tips come in three sizes. So basically, the box has six different ear bud sets – one of which should work for most people. It’s really important for immersive sound to get your ears well plugged, so experiment with all six until you find your sweet spot. 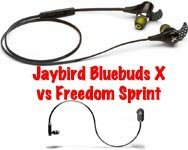 Even the Jaybird Bluebuds X were rated as #1 for secure fit, and the Jaybird X2 have improved on this, with the six options. The sound is better than any corded earphones or headphones I have used in the less than $200 category. Phone calls: Occasionally I do actually use my phone for phone calls! With these earphones I can take calls by touching a button, and when the other person hangs up, my music comes back on automatically. Magic! I really, really love this feature, and it’s a great safety feature when walking, running, or cycling. 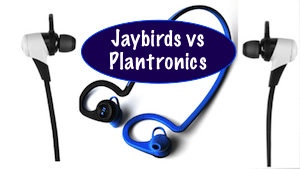 Who Should Buy Jaybird X2 Bluetooth Headphones? Jaybird X2 Bluetooth Headphones are ideal for active people – so if you workout in a gym, run, walk a lot, or ride a bike, these could be the perfect earphones for you. 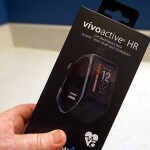 The lack of wires and secure fit mean it is easy to be active while wearing them. And the great sound quality will motivate you to keep moving! Ear cushions: The Jaybird X2 come with these little gadgets they call ear cushions. They are designed to hang onto your ear and prevent the headphones falling out of your ears. These do help a lot of people, although personally I am not nuts about them. The Jaybird X2 have improved on the ear cushions by giving them a matte finish, which makes them more grippy and less blingy. 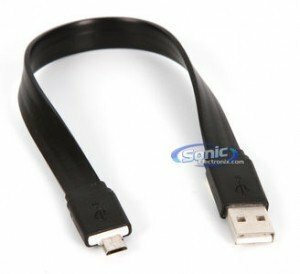 USB Charger: The [easyazon_link identifier=”B013HSW4SM” locale=”US” tag=”avejoecyc0e-20″ cart=”n”]Jaybird X2[/easyazon_link] headphones come with a standard, generic micro USB charger that fits well and does not fall out when you are charging them. These headphones will give you great cords-free listening with excellent sound – really quite amazing for Bluetooth. They are quite robust, will go for eight hours on one charge, and take only two hours to recharge. If you wake up and they are completely flat because you have had them on all night, you can partially charge them while you are getting dressed and brushing your teeth – and they will still last you for an hour and a half on your way to work. So Jaybird X2 are really great for busy people who want their music with them all the time. Jaybird X2 are really great for active people who want their music with them all the time. If you are one of those people who will settle for nothing but the best for your Bluetooth listening experience, and who wants great, immersive music to accompany your healthy, active lifestyle, then you can’t really go wrong buying Jaybird X2 Bluetooth headphones. They are also perfect for cycling (if you don’t mind compromising your ability to hear ambient sound – if you do, check out this open-ear option for headphones)! We would appreciate it very much if you would SHARE it with others (using the Share buttons). If you really want to show your appreciation, please consider clicking on one of the Amazon links before buying from Amazon; or clicking on any of the other affiliate links on this page. Small commissions help pay for our time. Or just LIKE our Facebook page 🙂 Or BEST OF ALL – just SUBSCRIBE to our blog. It makes you part of our community, and gets you free weekly updates about our posts. Thanks in advance – reader support keeps us going and makes it all worthwhile! Silicon tips on Jaybird X slip out and these tips made a world of difference in isolation of bass and overall sound like others had stated! If unsure of size in comfort tips go with the next size up. I was going to order the medium and was glad I ordered the large!! !